Josh is a lifelong nature enthusiast who loves to get his hands in the dirt. He earned his Bachelor of Science degree in agriculture from New Mexico State University while majoring in Wildlife Science. Before beginning his wildlife gardening career he worked as an ornithologist and wildlife biologist. 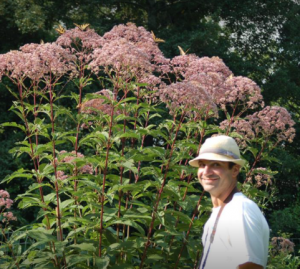 He and his colleague Dustin Welch now create everything from small hummingbird and butterfly gardens to entire native plant landscapes. Recently their gardens have won the 2016 Cape May Point “Garden of the Year” award, 2017 Sea Isle City Beautification Award, and 2017 Cape May Point “Perennial Garden of the Year” award. At CU Maurice River’s next bimonthly meeting, Joshua will be presenting Gardening for Water Conservation, which will include native alternatives for lawns and much more. “Watershed Fred’s” presentation will highlight the one thing he enjoys most in his (limited) down-time: fishing. He and his son love to go on overnight fishing trips off the coastline of NJ. In conversations with Fred, it isn’t uncommon to hear his latest fishing triumph and future plans to get back on the water. Join us to hear his enthusiastic “Fish Tales.” The presentation will center on local marine fish species, their life histories, and state and federal management for sustainability. He is currently the River Administrator for the Greater Egg Harbor Council and Watershed Association, a position he has held since 2002. In this and other civic and environmental positions, Mr. Akers has worked to promote healthy river systems through research, education, and by increasing public awareness of the unique and valuable natural resources in our area. 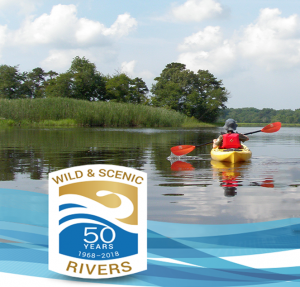 In October we will have a number of events to kick off our 25th year of Wild and Scenic designation and 50 years of America’s Wild and Scenic Rivers. More opportunities will be highlighted throughout October and the coming year, but be sure to note the dance date on your calendars. On June 21st Jane will be sharing some of her favorite wildlife photos and stories from her wild travels around the world. It is hard to say how her quirky sense of humor might evolve. All she promises is that she will have fun and you might, too. To be held at Winfield’s Restaurant, 106 N High Street, Millville, NJ, this presentation begins at 6:30 p.m. Please consider dining before the event at 5 p.m. or afterwards at 8 p.m. Reservations are generally necessary; let them know you will be attending the presentation upstairs at 6:30 p.m. Beverages may be ordered during her talk. Paddle Willow Grove Lake at 10 a.m. – This dammed section of the upper Maurice River is worth exploring. 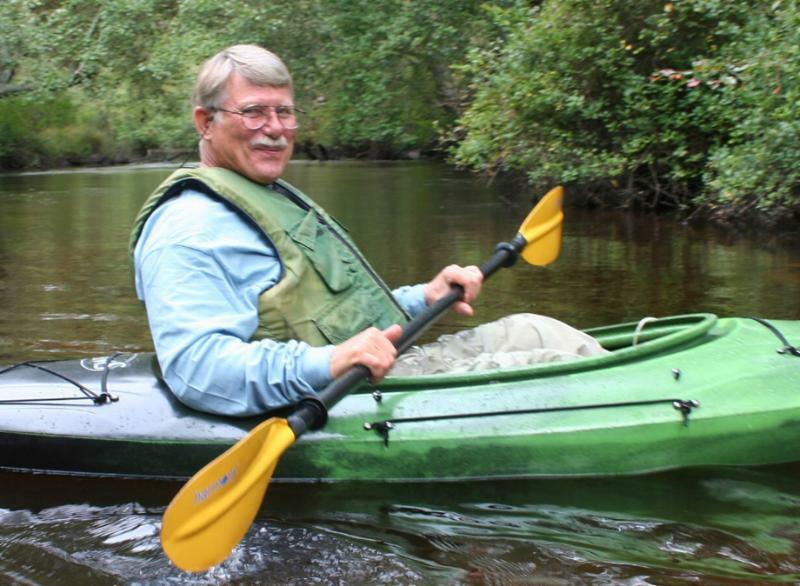 Meet at CU Maurice River ECO-Leader Al and Sam’s Kayak and Canoe, 2626 Weymouth Rd, Newfield, NJ 08344. 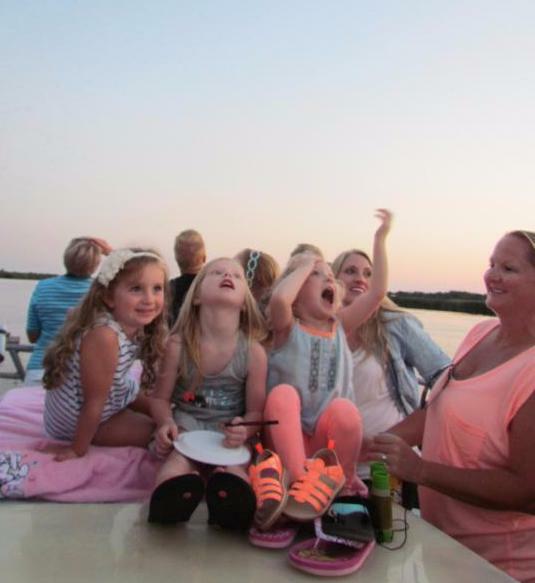 Contact them to rent a boat – (856) 692-8440. There will be a launching fee of $6.00 for those who bring their own crafts. Campfire at Talalajs’ home at 6 p.m. – This potluck is on the shores of the Menantico. Enjoy one of the river’s best sunset views. 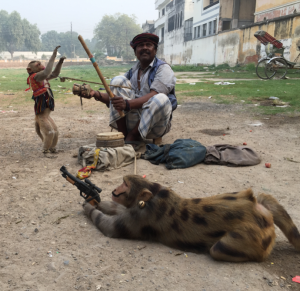 Bring a side dish, portable camp chair, and musical instrument if you play – vocals encouraged. * Let us know you plan on attending the paddle, the campfire, or both by following this link. Sarah and Fred look for dragonfly larve on Cumberland Pond. Paddle Cumberland Pond at 10 a.m. – This is a dammed section of the Manumuskin and is floristically fascinating. Time permitting, we will check out iron headstones made at the once-extant Bud’s Furnace adjacent to the lake. Campfire and Potluck at Tomlins’ home 6 p.m. – This potluck and campfire is on the shores of the Manumuskin. Bring a side dish, portable camp chair, and musical instrument if you play, vocals encouraged. * Let us know you plan on attending either the paddle, the campfire, or both by following this link. *Please see upcoming CU emails for details and reservations; sign up capabilities are on the on-line calendar. These events are free but require registration. If you do not have email access please call the office to sign up (856-300-5331). Kids watch purple martins swirl. * Make your reservations now on the Events Page of our website; please select the proper date and number in your party. Click here to listen to our podcast on the Purple Martin Spectacular. Watch our clip of the purple martins by clicking here. 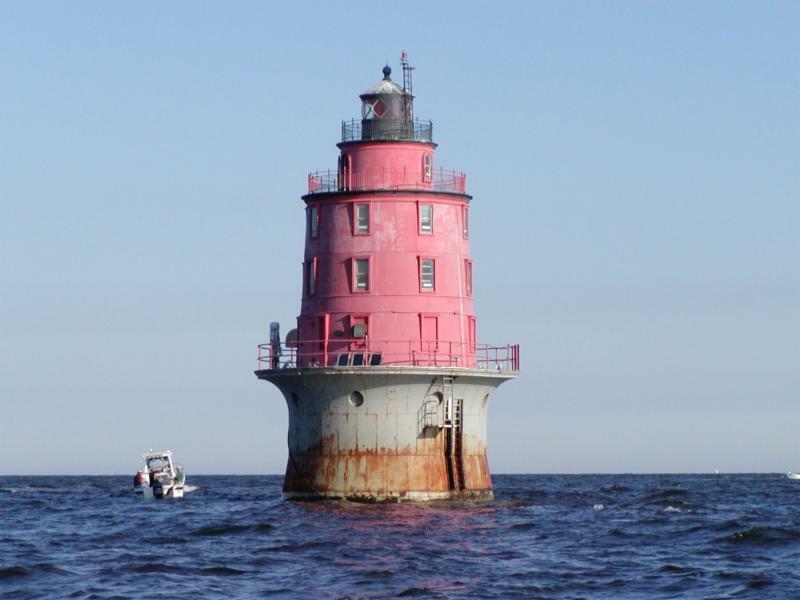 We will hold two Historic Lighthouse Cruises on the Delaware Bay aboard the Bonanza II, September 22 & 23. Five lighthouses will be on the tour: Brandywine Shoal, Fourteen Foot Bank, Miah Maull Shoal, Elbow, and Cross Ledge. Departure is from the Fortescue Dock #5; trip duration is 3:30 p.m. – 7 p.m. Return should be just in time to catch the best part of the sunset from the Fortescue beachfront. Snacks of fruit, nuts, veggie dip, dessert, and soft drinks will be available. Each trip is limited to 50 people and cost per person is $50. These cruises fill up quickly so please make your reservations ASAP. Come out and enjoy this fun Nature Festival at Cape May Point State Park. Children and adults will be participating in the CU Paint-a- Landscape, seeing live birds, exploring touch tanks, and taking guided bird walks. Contact Doreen.Homan@CUMauriceRiver.org to sign up as a volunteer for this event. Meet at Waltman Park off Brandriff Ave. at 9 a.m. where we carpool to other great natural and cultural areas. 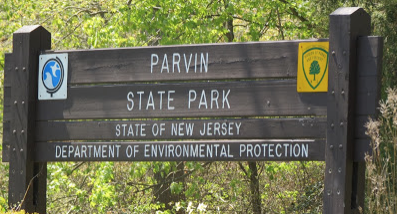 June 19th – The caravan is headed to Parvin State Park for a nature walk. Join us afterwards for a picnic lunch at the Park’s visitor area. Make a day of it – stay on to swim at the beach or bring your kayak for a paddle after lunch. August 21st – Explore WheatonArts (WA) with your CU comrades. 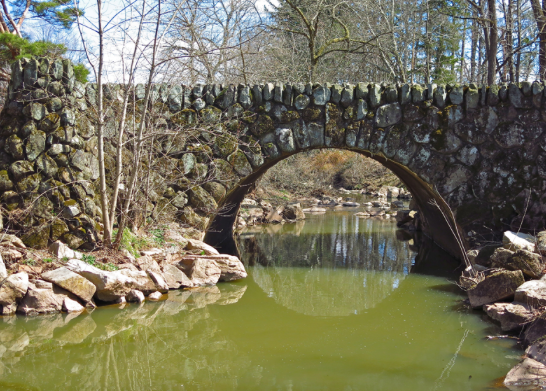 Walk the WA Nature Trail, watch a narrated glass-blowing demonstration, visit the Glass Museum, or see pottery being made. There will be a small fee associated with this outing. More details to follow in email updates. September 18th – Duke Farms. Meet at Waltman Park at 8am. 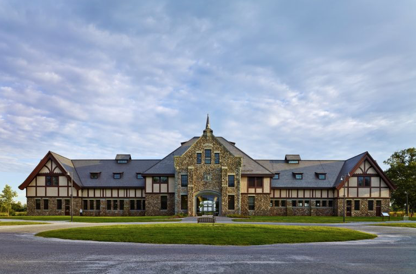 To learn more about Duke Farms click here. Watch for more details in emailed news updates. Use the calendar for sign-ups. 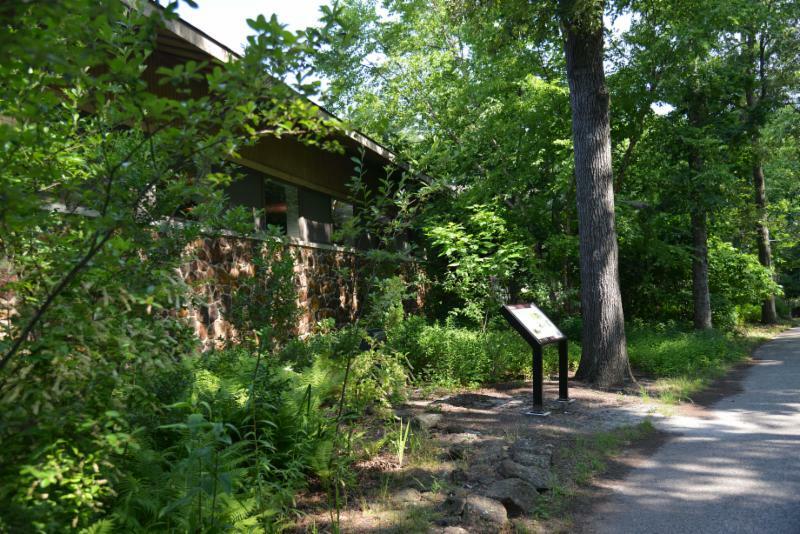 June 8, July 13, August 10, and September 14 – Join Wendy Walker and Christine Brown for a nature walk on the Maurice River Bicycle and Walking Trail. 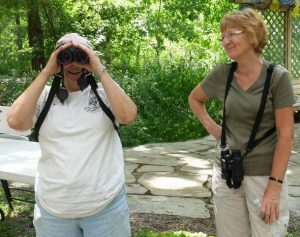 Wendy and Christine have been utilizing the checklists for birds, reptiles, amphibians, and mammals that were developed for the trail. 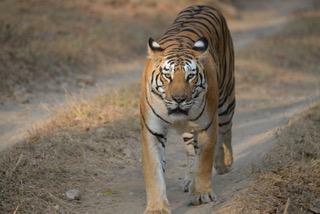 Thus far they have identified at least 54 species of birds, 2 mammals and 3 reptiles. Bring your field eyes to add to the list. The trail has numerous different habitats, all within close proximity. Walks meet at 9:00 a.m. behind the Millville Library. 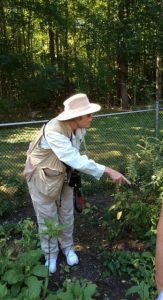 June 16th -Visit the Franklin Parker Preserve with Russell Juelg, a senior land steward for New Jersey Conservation Foundation. He developed a trail system as well as educational programming for this protected land area. With a BA degree in Religion-Studies from Texas Christian University, Russell’s past work experience includes three years as managing director of Woodford Cedar Run Wildlife Refuge and 11 years as director of outreach at the Pinelands Preservation Alliance. 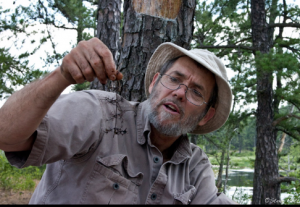 His favorite areas of research include Pine Barrens vegetation communities, field botany, and threatened and endangered species. Bring a picnic lunch that you can carry with you, water, and insect repellent. Meet in the parking lot behind the CU Maurice River office at 9 a.m. We will carpool to the preserve. Approximate return time to Millville 3 pm. Please RSVP using this link. July 21 – Factory Road / Shaws Mill – CU Maurice River Naturalist and Trustee Tony Klock will lead this walk. The asphalted path will help keep ticks at bay while the canopy filters out sound, making this a great spot for birding. Meet in the parking lot behind the CU Maurice River office at 9 am. Let us know you plan on coming by clicking this link. 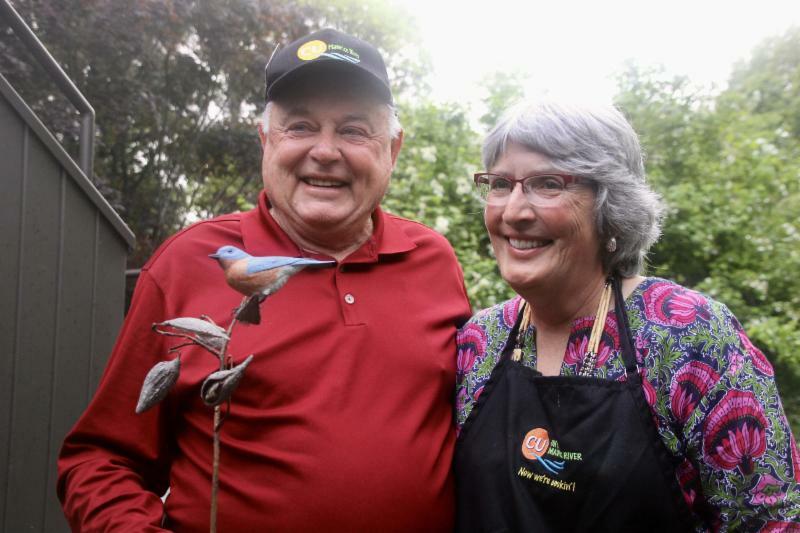 Pat has been cultivating a wildlife garden in Goshen, NJ for the last 40 years. 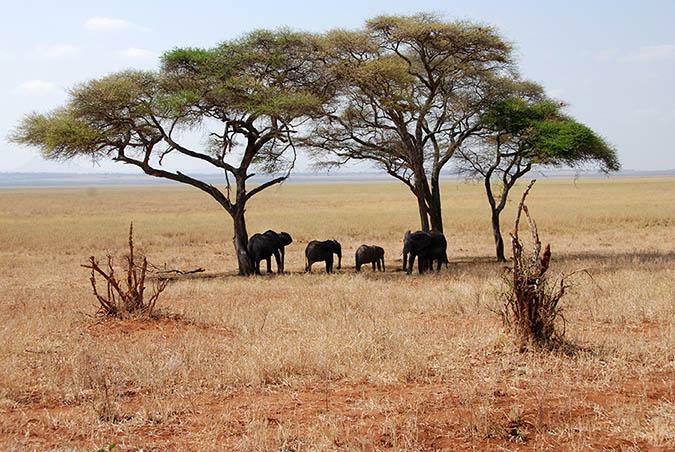 It showcases many different ways a habitat can offer the basics: food, water, and cover. This is a wonderful opportunity to study and identify pollinators with Pat, former Program Director of NJ Audubon’s Cape May Bird Observatory. There will be two separate tours: Morning Session: 9:30 a.m. to 12:00 p.m. / Afternoon Session: 2:00 p.m. to 4:30 p.m. / Cost per session: $20 member of CU Maurice River, $30 nonmember. RSVPs are required as space is limited to 20 attendees per session. Click this link to reserve your spot now. Be part of the team! Gather dragonfly nymph specimens for a national study on mercury contamination being conducted by the University of Maine, USGS and the National Park Service. We are currently working out the details with the organizers and plan to hold this activity on three dates in the middle of August. Be on the lookout for more information. 1. CARDBOARD- Since the cardboard cover that was laid down on the front half is working to amend the soil and keep invasive weeds at bay so nicely, the back half will also be covered before fall planting. We are looking for a couple of volunteers to pick up refrigerator and washer boxes from Mainiero’s Appliances on Delsea Drive, preferably on Mondays, Wednesdays, and/or Fridays. The refrigerator boxes can be dropped off at Karla’s or kept until the next work group. 2. PLAY STREETS – This is a weekly outdoor event held on Pine Street during the summer vacation. A host of non-profits and social organizations pool their resources in order to offer a variety of healthy outdoor activities to the neighborhood children and their families. We need people who would like to lead an outdoor learning activity at the Neighborhood Wildlife Garden – just a block away from the main event. Please contact Karla.Rossini@CUMauriceRiver.org for more details on either of these volunteer opportunities. Play Streets takes place on Wednesdays (July 11th, 18th, 25th and August 1st, 8th, 15th) from 10am to 2pm. If you are experienced in working with children, especially as a teacher, we will once again be running weekly activities at the YMCA’s Camp Merrywood (near the Garden Rd. exit of Route 55, Vineland, NJ.) Activities normally run for 1-2 hours. Please contact Sue Fenili to find out more details – Sfenili@comcast.net. 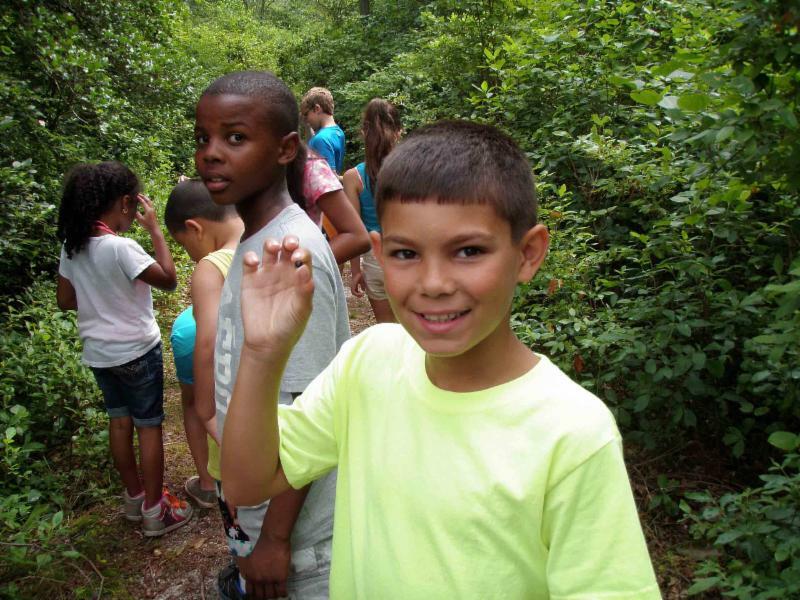 Children enjoy a CU-guided trail walk at Camp Merrywood. Our annual get-together with this Vineland program will again take place this summer. The date is not yet determined; however, if you are interested in helping at learning stations please email Jane at forrivers@comcast.net. This year’s activities have been in full swing. During April and May CU has gone wild! Vicky and Rob Tomlin as well as Sarah and William Johnson are the Maurice River Stewardship Program’s newest Wildlife-Friendly designees. 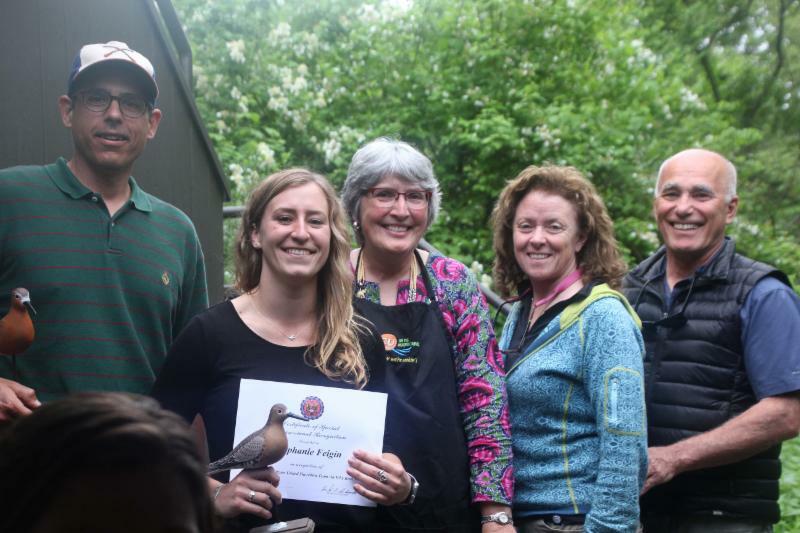 These couples were recognized for their efforts to curb stormwater run-off and water contamination as well as creating backyard habitat and managing species. The Millville Public Library applied for the Eco-Leader designation for businesses and was recognized for its effort to encourage a culture of stewardship. In conversation with Courtney Reece, the Library Director, we discovered that they wanted to incorporate native plantings in landscaped areas.Therefore CU Maurice River and the Library led a germination workshop. The plants were cared for by staff and kept on display in the kids’ room, receiving a lot of attention from visitors. 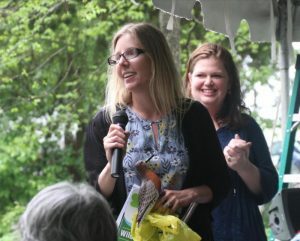 Then in May a planting was held at the library. Half of the seedlings were placed in the front of the building while the others went to the Neighborhood Wildlife Garden. A special thank-you to the Master Gardeners and members of the Countryside Gardening Club who participated. 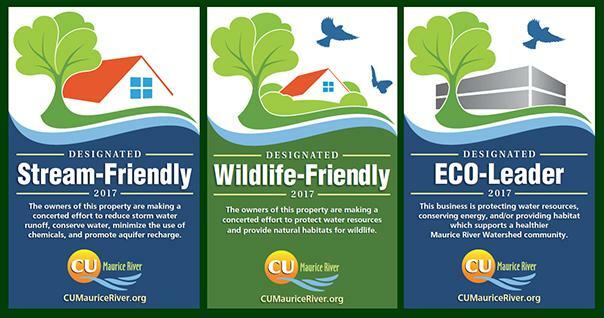 To apply for designation or start making a difference for the river and for the wildlife in its watershed, contact Karla.Rossini@CUMauriceRiver.org. On June 4th a field trip took us to the restored Spencer Meadow in Cedarville, NJ. This property was farmed continuously for well over 100 years, and now that it has been allowed to go fallow it is resplendent with wildflowers throughout the warmer months. It is semi-wetland so parts of it can be soggy. 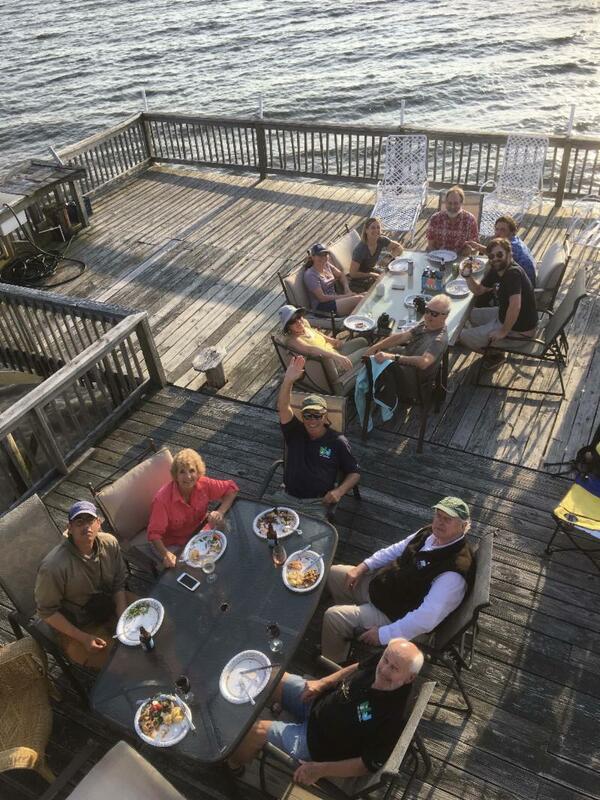 The outing was led by Damon Noe, who has been with The Nature Conservancy since 2000, managing approximately 20,000 acres for the New Jersey Chapter. Damon has extensive knowledge of New Jersey flora and fauna. We checked the osprey nests for structural soundness before the osprey returned from their wintering grounds in South America. On Mother’s Day Peter Galetto and Dave Mazowski did a second check and mirrored eggs, finding that at least 110 eggs were being incubated. Native Plants: on April 14th a work group was held at the garden to prepare for plantings – i.e. clean-up, brush removal, sprinkler set-up, and placement of trees. The seedlings from the Native Plant Society and RRCA germination workshop were transferred to their permanent location in the garden on May 7. On May 12 an additional spring planting took place. The May 16th Lakeside Middle School’s after-school program activity was postponed to June 4th due to weather. That day students brought the trays of flowers that they had been raising and planted them at the garden. Children from the neighborhood also joined us to help get the plants in the ground. In all approximately 20 youths were spent their afternoon revitalizing this once empty lot. 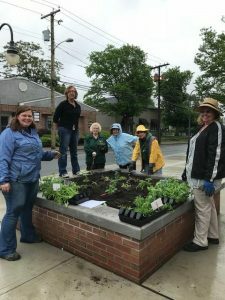 The Millville Police, Holly City Development Corporation, Millville Parks and Recreation, and Police Athletic League all partnered to to make this garden event come together. And on May 17th we assisted the library in planting the trays of flowers they raised. 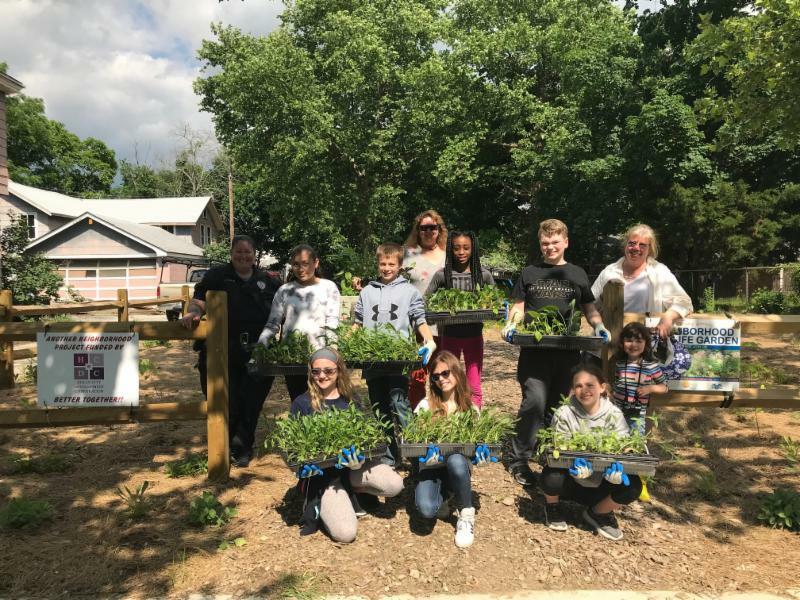 Lakeside Middle School’s 21st Century Program participants raised and planted flowers at the Neighborhood Wildlife Garden. The ReTurn the Favor Training on Saturday, April 21, was held at East Point Lighthouse. There was a great turnout at the horseshoe crab rescue workshop; over 60 participants attended the event. Karla has been receiving many reports from enthusiastic volunteers working at the East Point Lighthouse beaches. The East Point boat ramp and Heislerville WMA beach seem to be the areas requiring the most attention. We estimate that over the last couple of years, CU has recruited approximately 100 people to the program. Although we have no formal data as yet, this has been a good year for horseshoe crab spawning according to the Shorebird Recovery Team’s initial reaction. On March 29th and April 26th, Director of Wildlife Management Allen Jackson led two work parties at WheatonArts, where eighty-some saplings were planted. We continue to try to establish a heavier buffer along the roadway that runs parallel to the trail loop. Volunteers picked up trash prior to the Eco-Fair and some wildlife modifications were made. The exciting news is that the wood duck and bluebird boxes were being utilized, and the purple martin gourd racks are entering their second season at full capacity! JESSE LEIGH CASTOR OF MILLVILLE H.S. Millville H.S. Senior Jesse Leigh Castor was selected as this year’s Connie Jost Scholarship recipient, for the scholarship’s 21st year. Her teacher Matthew Daniels recommended Jesse, describing her as illustrating true self-discipline and an outstanding work ethic. In addition to her artistic skills, Jesse is in the top 6% of her class. 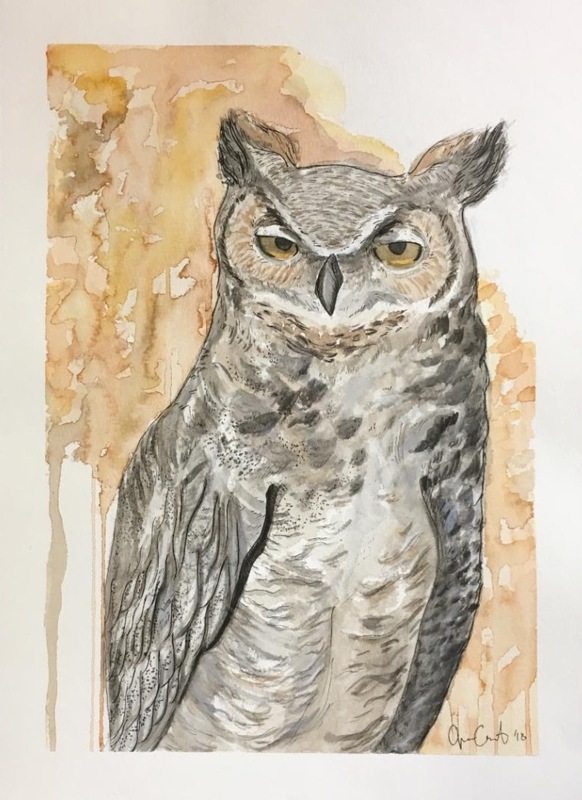 In her essay Jesse wrote, “I use nature as inspiration for my pieces because I believe everything is connected through nature.” She has been accepted to Temple U’s Tyler School of Art and to the Pennsylvania Academy of Fine Arts. Best wishes, Jesse! Students study on the trail. Due to inclement weather two days of Wild About Cumberland were postponed. 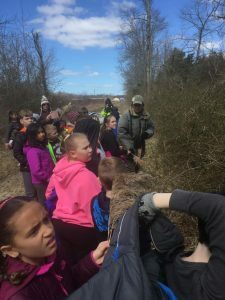 This outdoor field trip for the County’s fourth graders was held on March 20th, 26th, and 27th. Once again there was great interest from public schools for the program. Nine schools, 440 students, and many chaperones participated. A huge thank-you is in order to all the volunteers for their flexibility and devotion to the program. For example, when Holly Heights was unable to attend, Sue Fenili and Wendy Walker, as well as employees from the Bayshore Center, Woodford Cedar Run, and CU Maurice River, came together to offer them the program on their school’s campus. Fourth grade teacher and CUMR member Cindy Berry and Principal Saul organized everything on the school’s end. The Events Committee and their many assistants outdid themselves. The silent auction was displayed beautifully with the usual range of items and opportunities.. The small tree ornaments at the registration desk turned out to be quite a hit. The cooks came through with a tasty variety of chilis that were well received, and the live auction netted the largest proceeds to date. Kudos are in order to so many individuals and groups that you will have to forgive us if we leave out a category: the auction team, flowers, setup, cleanup, chili, desserts, breads, appetizers, salad and all the other crews that make it possible. On April 19th, famed photographer Albert Horner took CU Social attendees on a photographic journey of the NJ Pinelands. Albert is well-versed in Pinelands natural history and shared lots of interesting facts. The full house really enjoyed his presentation. A number of people partook of a leisurely dinner at Winfield’s either before and after the event. The staffs of Wheaton Arts, CU, and many other groups put together a great event for participants. CU hosted a keynote speaker, author Heather Holm, who provided a wonderful presentation about bee pollination, with 100+ people in attendance. Some of her slow-motion clips of bees in action were especially captivating. At the CU booth on the grounds we had a complimentary activity where folks could make a bee hotel (“nursery’) to encourage pollinators to visit their garden; about 50 folks took advantage of this activity. On the WheatonArts Wildlife Trail we hosted a stationed walk and scavenger hunt, with over 70 people participating by noon. If you’ll pardon the pun, our table’s representatives and visiting members were abuzz all day. 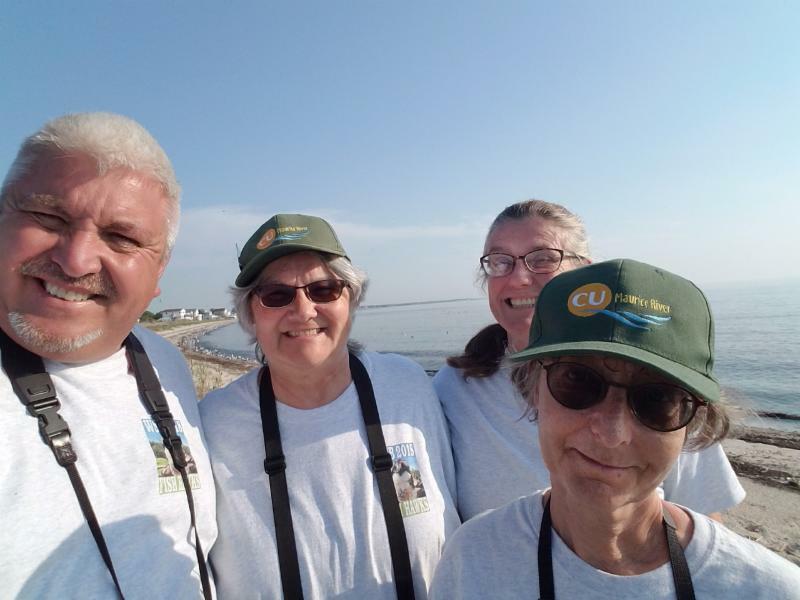 The Fish Hawks World Series of Birding Team did a fantastic job of searching for species along the Bayshore. Led by Captain Mary Watkins, Tony Klock, Karen Williams, and Kathy Michel made an awesome team. In just the Bayshore region the team found 136 different species, and competed impressively against teams that scour the entire state! They were one bird off a second place ranking. WOW. The CU staff was able to secure approximately $13k in donations, topping last year’s number. Thank you to all those who have pledged. If you have not yet paid please do so. The Frog Slog was rescheduled for Friday, May 25th because of foul weather. Ultimately, Fred “Watershed Fred” Akers and CU Prez Jane Morton Galetto led the trip. There was a wonderful group of enthusiastic attendees. Some of the children were veteran sloggers and were very ready to participate. The kids made everyone’s night with their level of excitement. Their keen eyes and total commitment to the task at hand gave us plenty of frog species to examine visually. Many of the adults were wowed by the children’s total comfort with water and mud. Giggling was abundant. See video clip of singing northern gray treefrog by clicking here. As usual the cooks did a super job of making delicious meals for the shorebird scientists. It is estimated that as many as 1000 meals have resulted from their efforts. 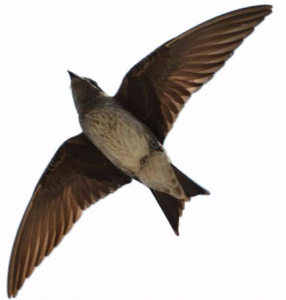 We do not know which migrants had fuller bellies – the birds or the scientists. This season the beaches were flush with horseshoe crab eggs and hopefully the migrating birds’ fat reserves will provide adequate sustenance for their journeys to the Arctic so they can successfully nest and raise their young. After further data analysis we hope to get a summary of what appeared to be a very good stopover. 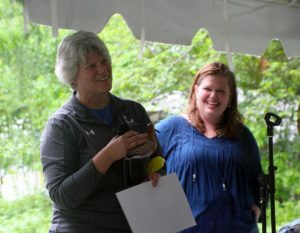 The Hansey Creek Walk was rained out but the heavens cooperated for the most part for the Ah Why Knot Awards and Pig Roast. Those of you with electronic communications will already have the scoop on the wonderful folks selected for awards, but for those of you with paper communication we will reiterate it here. First, however, the Presidential Award, my prerogative and always a well-kept secret, was given to Allen Jackson. Since retiring from the US Fish and Wildlife Service Allen has been mentoring hundreds of individuals, especially in creating habitat for nesting birds. His successes are legendary, beginning with his development of colonies for purple martins that are now the largest aggregates east of the Rockies. In recent years he has focused on bluebirds and the success story is nearly as staggeringly positive on that front. Allen takes time to work with people on a one-to-one basis, and he has developed a small army of individuals who are collectively making a huge difference. Art Parkin was kind enough to part with a bluebird carving that was given to Allen to commemorate his accomplishments. for supporting our volunteer recognitions. Vicky Tomlin and Lisa Swift are a bit of a CU duo. We see them at any number of functions in tandem. They both helped cook for the scientists; they are both interested in gardening and property stewardship; they are regulars at our cleanups, and they are Neighborhood Wildlife Garden participants. Both have helped with trail and wildlife management. Their friendship brought them to CU at about the same time, but they do many things independent of one another as well. Our Project Manager Karla calls them “partners in crime,” since they first met during their jobs at the prison – and since together they can be comically ornery. Vicky and her husband Rob have hosted CU campfires, and Vicky has provided a garden tour at her home/rural farmette on the banks of the Manumuskin. 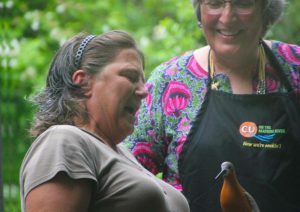 In fact Vicky is one of our first members to have her property designated as Wildlife Friendly. She has also gone on a few of our paddles. 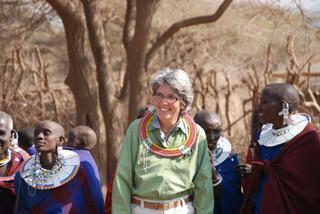 Cheryl Howell’s history with CU Maurice River dates back to our founding and possibly before. After we were incorporated Cheryl was our first Corresponding Secretary. She has taken college botany courses and has a deep interest in flora and fauna. She is a regular on our walks and has a constant curiosity about nature. Anyone who knows Cheryl knows she is not afraid to dig into work with gusto. In fact, it seems Cheryl tries her hand at just about any function. She is a regular at our cleanups, she has helped lead Wild About Cumberland field trips, she guides people at activities as a CU Ambassador, and she has been a regular on trail workdays at WheatonArts. In fact she is one of the few members I have seen attack that thorny rosa multiflora and come close to winning. I’ve been told that she is very active in Return the Favor and some have described her style as zealous. And I suspect she leaves no horseshoe crab unturned. She has helped with our National Park Service macroinvertebrate sampling for mercury and she is often at our campfires. She has been known to paddle a kayak with a good read in hand. If it has to do with the out-of-doors Cheryl is IN. 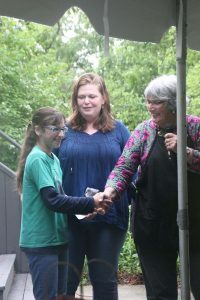 This year’s Sanderling Award was awarded to Sarah Hullihen, who attends Memorial School in Vineland, NJ. 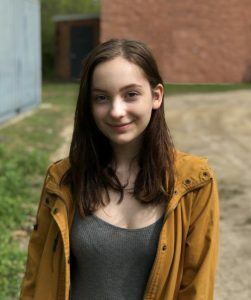 Since 2016 she has been a Junior Ranger of the National Park Trust known as a Buddy Bison Student Ambassador. She has orchestrated a “Kids to Parks Day” for Giampietro Park. Last year she planned all the activities herself, including nature walks that she led. She developed 10 activities that young people could complete and their name would be entered into a drawing for a basket of goodies that she pulled together. She has participated in our cleanups, given walks on the WheatonArts trail, and joined in our macroinvertebrate sampling. At the CU Neighborhood Wildlife Garden she has led Play Street activities for local children, and after a purple martin spectacular cruise she did a blog write-up of her experiences. (Click here to see complete post). Keep your eye on Sarah; her email address is sarahhullihen4prez2044, and she means it! In fact, she’s got us believing it too. Joseph Smith has 20 years of experience conducting ornithological field research, with much of this time spent leading or participating in studies on breeding, migration, and wintering ecology of shorebirds, seabirds, and passerines throughout the Western Hemisphere. He holds a B.S. in Forestry and Wildlife Management at Mississippi State University and a Ph.D. in Environmental Science and Policy from George Mason University. Joe has focused his scientific expertise on the ecology of the Delaware Bay and in particular the horseshoe crab and the willet, among other shorebirds. He also studies the unique interaction of the bay’s beaches and marsh and how they have evolved after centuries of salt hay farming. Joe is among the few horseshoe crab experts who understands the complicated relationship between the bay’s beaches and intertidal flats and how it changes seasonally and through the years. He is part of the American Littoral Society and NJ Audubon beach and marsh restoration efforts as a partner in Niles-Smith Conservation Services. As a Wildlife Ecologist for the Conserve Wildlife Foundation of New Jersey (CWF), Stephanie Feigin is involved in conservation and research efforts to protect shorebird populations in a variety of locations, primarily in Delaware Bay and along the Atlantic Coast of New Jersey. 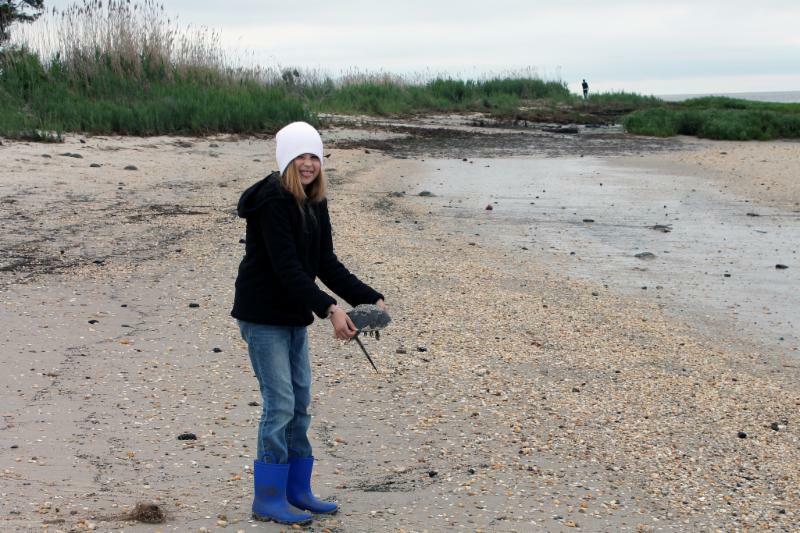 Stephanie has taken part in the restoration of the beach and marsh destroyed by Hurricane Sandy, in migratory tracking projects, and in banding, resighting, and coast-wide survey projects. She also leads several projects on NJ’s bat population including radio tracking and survey. Stephanie received her B.S. in Ecology & Natural Resource Management from Rutgers University in 2013 and is now developing a Ph.D. project with Joanna Burger. Oysterman Ned Gaine has also been selected for his insights on aquaculture. He has proved an invaluable resource for the natural history of oysters and many bayside intricacies. April 24th Tuesday on the Fly took attendees to Bowman’s Hill to see ephemerals. Our tour guide was wonderful and the experience was enlightening. Bowman’s Hill is considered the only outdoor museum of its kind with a focus on regional native plants. Afterward a number of folks trekked to the top of Bowman’s Tower for a view of the historical site overlooking the Delaware where Washington made his famed crossing to take over the Hessians in the Old Barracks at Trenton. 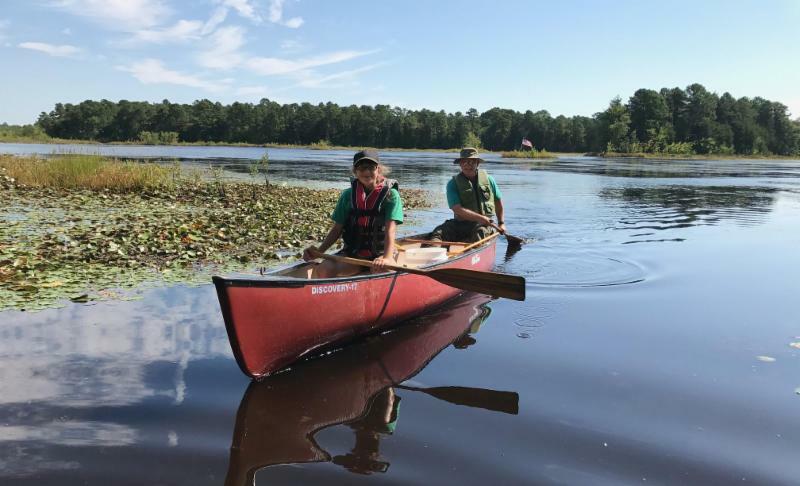 May 22nd Tuesday on the Fly – A group carpooled to the PSEG restoration site and spent the morning on the Eagle Trail in Salem. After lunch they continued on to check out the Supawna Meadows National Wildlife Refuge. The group decided they wished to return to Supawna for a more in-depth exploration. 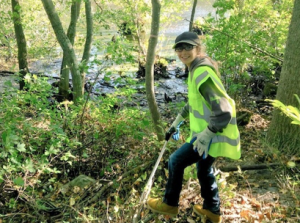 CLEANUP – Annual Trash Hunt – Saturday, March 17th – Karla Rossini, Fran Rapa of NJ Conservation Foundation (NJCF), and the Cumberland County Improvement Authority (CCIA) were a winning combination for this year’s annual hunt. NJCF has a property that they are in the process of preserving, and a cleanup effort was a necessary component of the transfer of lands. Our volunteers were divided into four groups to tackle various segments of the property. When all was said and done we filled more than a commercial-sized roll-off dumpster with debris. CCIA also made arrangements so that the site could continue to be addressed over a few more days. Blooming Belleplain Bike Ride Saturday, May 26 – Members joined Allen Jackson for a bike ride in hopes of viewing the peak of the mountain laurel bloom. Due to recent cloudy, wet weather the most spectacular stands of laurel were in sunny locations. Shady areas had not yet fully bloomed. Muddy conditions and vegetation confined the ride to hardtop surfaces. Everyone was a real trouper about finding a pace and route to accommodate all participants. 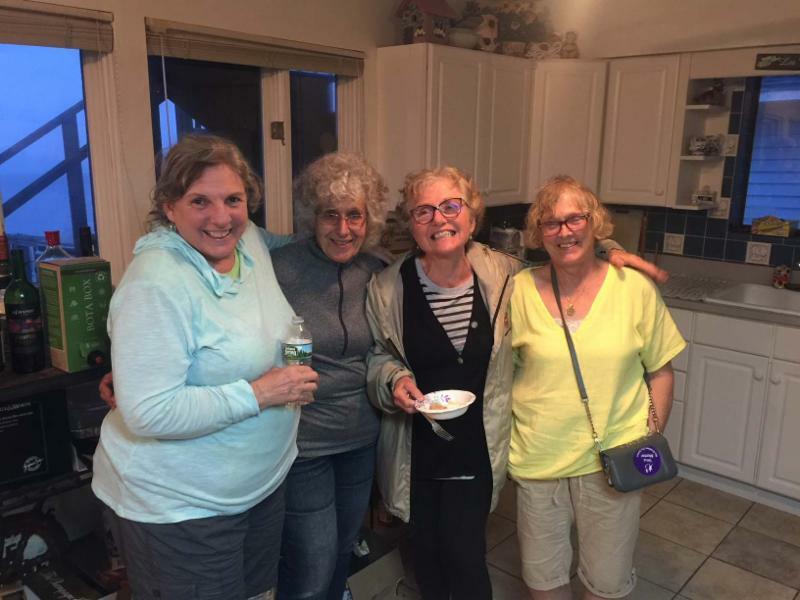 The March 9, April 13th, and May11th walks with Wendy Walker and Christine Brown have been a great deal of fun and well-attended. They are keeping a master list of all the species they spot along the way. See upcoming events (above) for a summary and future walks. We continue to attend aquaculture meetings where stakeholders explore the relationship between oyster farms, shorebirds, and horseshoe crabs. Oyster farmers and shorebird scientists seek to protect species while accommodating oyster harvest. We have been having exchanges with the Department of Transportation regarding their promotion of the Bayshore Heritage Byway. CU Maurice River has joined the Coalition for the Delaware River Watershed’s Forum Planning Committee. The Forum brings environmental organizations from throughout the Delaware River Watershed together to discuss environmental issues and advances, and to become better informed on advocacy taking place in Washington to promote watershed health. This year there will be a more pronounced focus on the Wild and Scenic Partnership Program. Other forums that we attend on a regular basis include the Endangered and Nongame Species Advisory Committee, South Jersey Bayshore Coalition, NJ Coalition of Watershed Associations, South Jersey Water Savers, Coalition for the Delaware River Watershed, and the like.